It is hard to find a good and cheap darab around the city nowadays. We used to buy a darab for only RM2 to RM3 many years ago. The price now shot up to RM20 for just a small one. 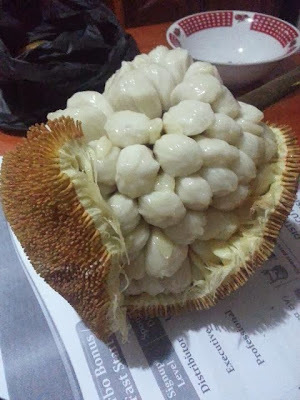 I met a dishonest trader at Gaya Street Fair on one of the Sunday, after much bargains he sold to me a small darab for RM5, we waited for a few days for it to ripe, much to our disappointment that it is simply not edible, the fruit were still hard and tiny. I wouldn't have bought it if not for my girl who kept asking for it. 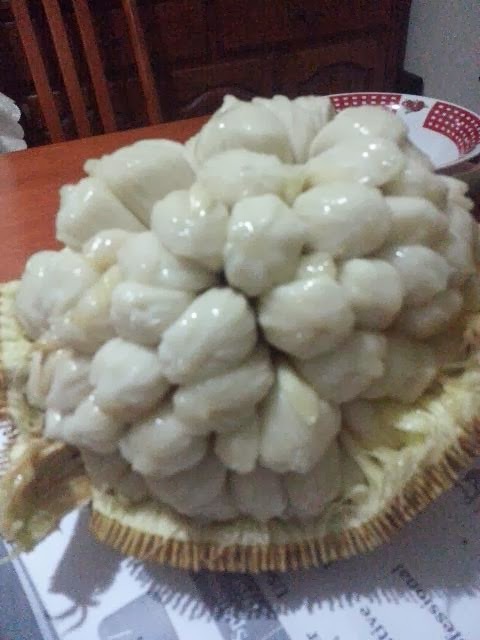 Clet bought this darab from Kinarut tamu early this morning for RM10. It is the type of quality we are looking for. Never seen or heard of this unique fruit before. Looks like cempedak. How does it taste like eh? 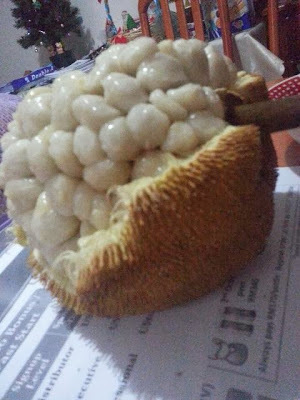 Darab fruit, I wonder is it available here in West Malaysia?